Numancia was a small castro (name in Sapnish for celtiberian village). The inhabitants from Numancia fought against the Roman Empire for more than twenty years. It was 133 b.C. Roma sent their best military man called Escipion to create a siege and destroy Numancia so they could have controlled the entire peninsula. However, when the Romans entered the village, the survivors decided to kill their own children, set their own belongings on fire to end up with their own lives. If the Empire controled Celtiberia they could not control their people. 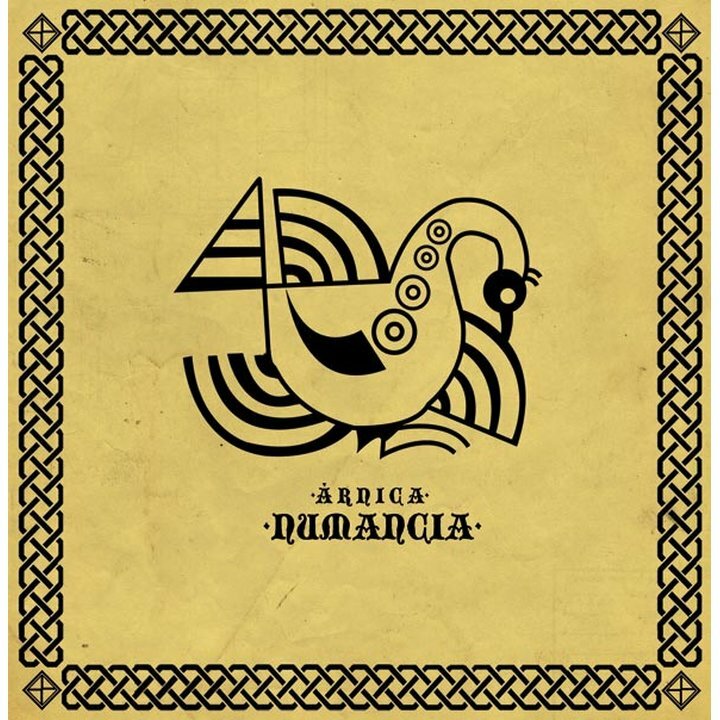 Musically Numancia is a invigorating trip from the magnificence of the village to the final decision of choose to die instead of being conquered. Solid drums and ritual elements are mixed with Heathen tunes the recognizable Ur-Folk sound. All texts are written and sung in Spanish and in the ancient Celtiberian language. After this release to homage our ancestors, Àrnica will depart back to the vast mountains of the Pyrenees?